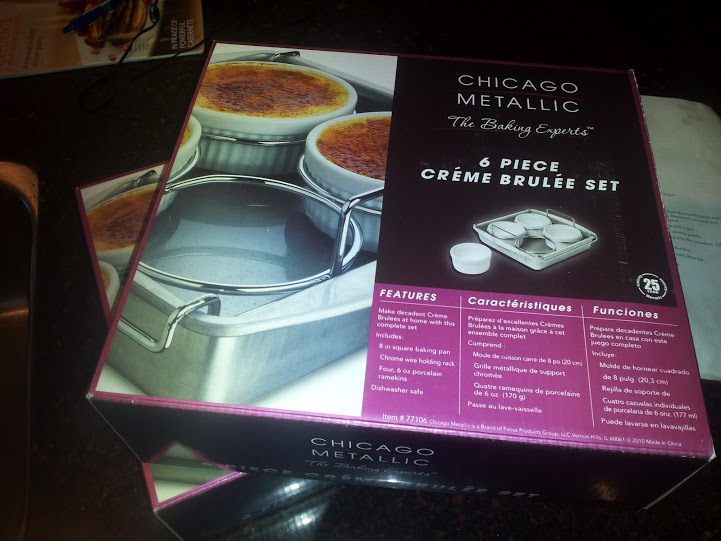 For Valentine’s Day, I received a great gift — two 6 Piece Creme Brulee sets. Each set includes a 9″x9″ baking dish, a wire rack and four ramekins. Great for Creme Brulee, but since I don’t like Creme Brulee, I’ll use it to make Pot de Creme. One week after taking the Midnight in Paris class, I decided to make the dessert at home, using my Valentine’s Day gift. I wanted to give this a try on my own — as in class, we split the tasks between 4 people. 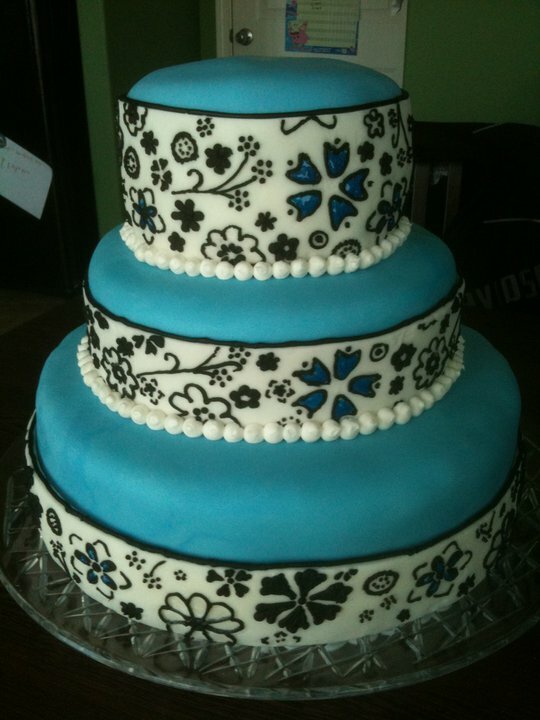 I had never made anything like this before and was quite excited to see if I could bake something as elaborate as this. Yes, I know this is a very easy recipe, but I am far from a baker. I followed the recipe from the Chopping Block almost exactly. I opted to use two teaspoons of vanilla extract in lieu of the half a vanilla bean. I also used 70% cocoa from Ghiradelli – I’m not sure what chocolate was used in class, but the 70% seemed a bit more rich and flavorful than the semi-sweet we used the week prior. Almost every thing I read about substituting vanilla extract for vanilla beans said you had to remove as many teaspoons of liquid as you are adding — to keep the balance. I didn’t do that. I figured since this is a custard, it wouldn’t really matter. It didn’t. 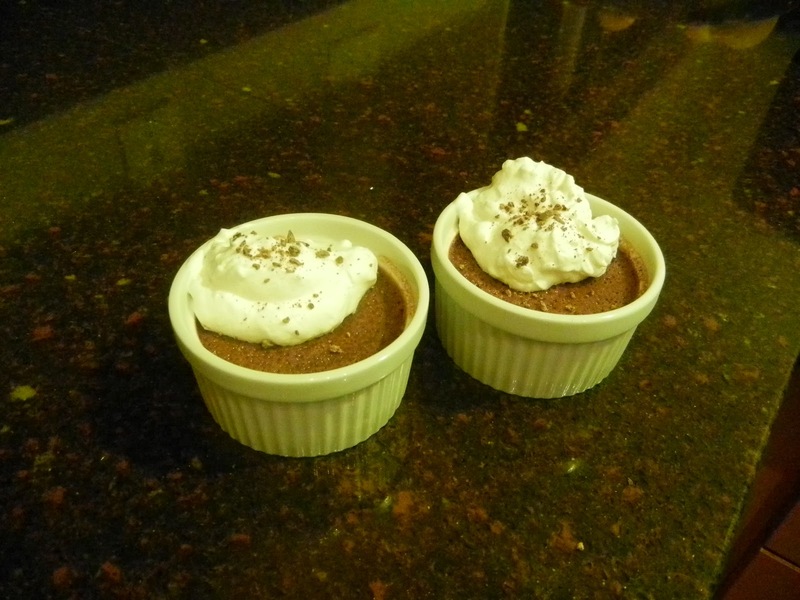 The recipe indicated we’d bake these for 25-30 minutes — after 30 minutes the Pot de Creme were completely liquid still. I kept it in the over for 5 more minutes…then 5 more…then 5 more. I cooked these things for 45 minutes then pulled them out. They were firm yet jiggly. I was afraid I over cooked them, but I really don’t think 30 minutes was enough for me. My mother says I have a “slow” oven. Not sure how she would know, since she never cooks..but in this case it appears she is right. I think this is another reason I don’t like to bake — I’m afraid I’m going to over cook or undercook because the timing is a bit off. Just another level of stress. All in all this recipe was absolutely fantastic. The dark chocolate was perfectly rich. The texture was creamy with just a bit of chocolate flake scattered throughout adding to the richness. 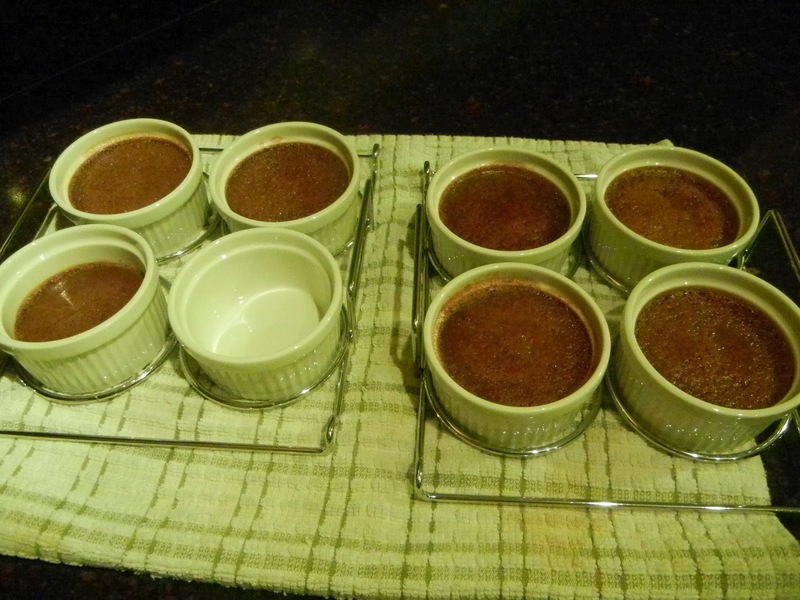 This recipe makes 4 servings, but the creme brulee ramekins were a bit smaller so I made 6.5 servings — which I think were perfectly sized for the richness. And yes — I did make homemade whipped cream (heaping teaspoon of powdered sugar and an 1/8 cup of whipping cream — beat with a wire whisk until just perfect). Does baking give you a lot of angst too? Have you been successful is altering a fantastic recipe offered by someone else into something your own? Do you have a problem with having half a dozen amazing desserts in your refrigerator — are you like me and just want to sit down and eat them all at once? In just a few weeks we will be heading off to Southeast Asia, mostly spending time in Hanoi and Saigon/HCMC. As noted earlier we’ve got most of our activities planned, we are now working on finding the best places to eat while in Saigon/HCMC. Like I did for Hanoi, I pulled a list from several websites, including TripAdvisor and have come up with this list of these five likely possibilities. Have you been to any of these restaurants? Doesn’t the cooking class at Hoa Tuc look fun? Have you tried it before – is it worth while? What restaurants am I missing? Obviously we are going to hit up a few stalls on the street for real local food. We are also going to visit some local shops while we are biking to the Cu Chi Tunnels. If you were returning to Saigon/HCMC and had time for just one meal, where would you go and what would your order? 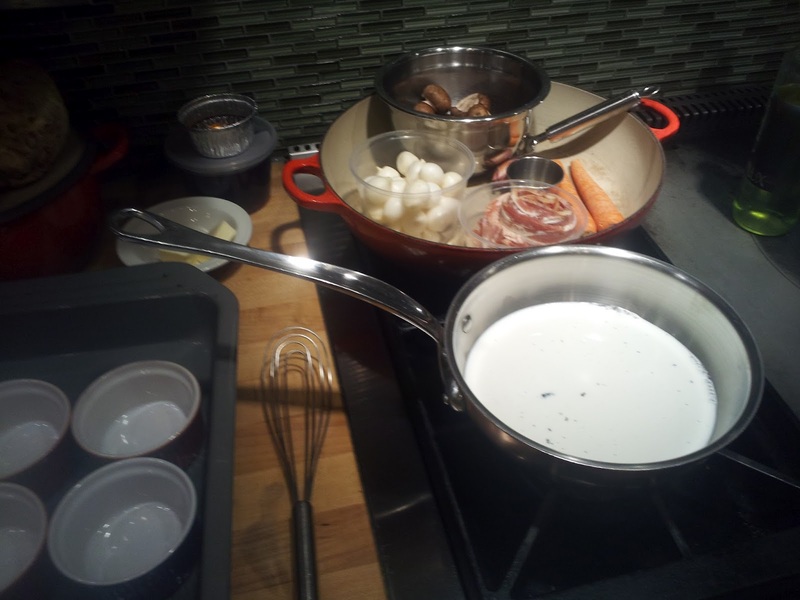 Last Thursday I took a cooking class at at The Chopping Block, called Midnight in Paris. This class was really great. Everything we made is something that I will make again in the future. The other classes I’ve had at the Chopping Block have yielded one or two recipes that have made it to my recipe box, but never 100% of the recipes we used. Even though the other recipes (from other classes) might not have made it to my recipe box, I learned some new techniques that I constantly use. This recipe is from the Chopping Block — and is not my my recipe at all. As always, you should read the recipe all the way through before beginning – something I often fail to do. You’ll notice below that numbers 2 and 3 go hand in hand and should be undertaken concurrently. The full recipe is at the bottom of this blog post. The recipe is very straight forward and as all you know, I really don’t like to bake (too much science versus an artistic flair). A couple comments — I wonder if you could use vanilla extract in lieu of the vanilla bean. I wonder only because vanilla beans are so expensive. I’ve read it is acceptable to swap it out and should use 2 teaspoons for every one bean — but you also need to pull out that same amount of liquid so you don’t upset the delicate balance of baked goods. Would two extra teaspoons of half and half really cause an issue? When I make this at home (this weekend??) I will try it without the bean and a reduced amount of half and half. According to our amazing instructor, Sara, you can keep the custard (I prefer the word “batter”) in the refrigerator (unbaked) for up to 3 days. 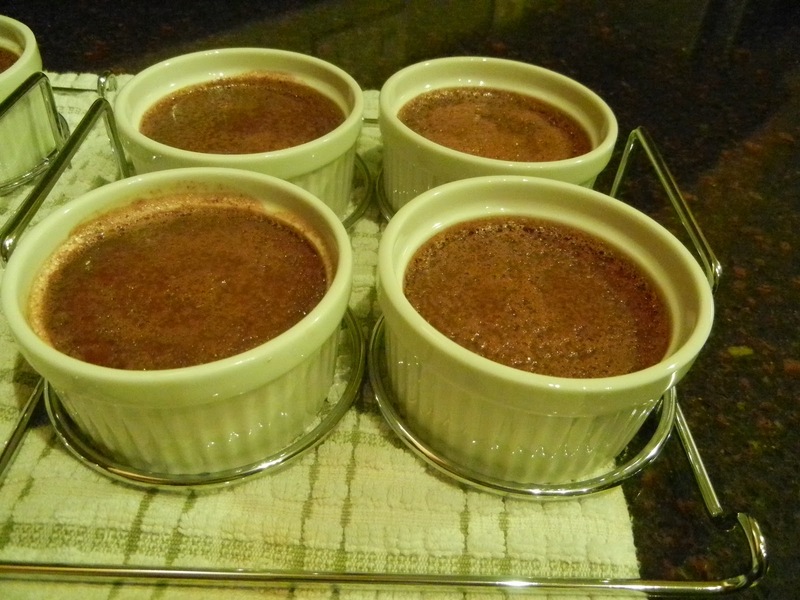 Then the next piece of great news — you can keep the baked Pot de Creme in the refrigerator for 3 days as well. That means you can make these things on Sunday and have them all week. You can’t beat that, can you? I apologize for the last picture — it isn’t mine, I just found it online at LA Weekly. I was just too damn excited to try my creation and ate it long before I realized I hadn’t taken a picture of it. Sorry guys! Place the cream in a small saucepan. Scrape the pulp from the vanilla bean; add the pulp and the pod to the cream. Heat until steaming. 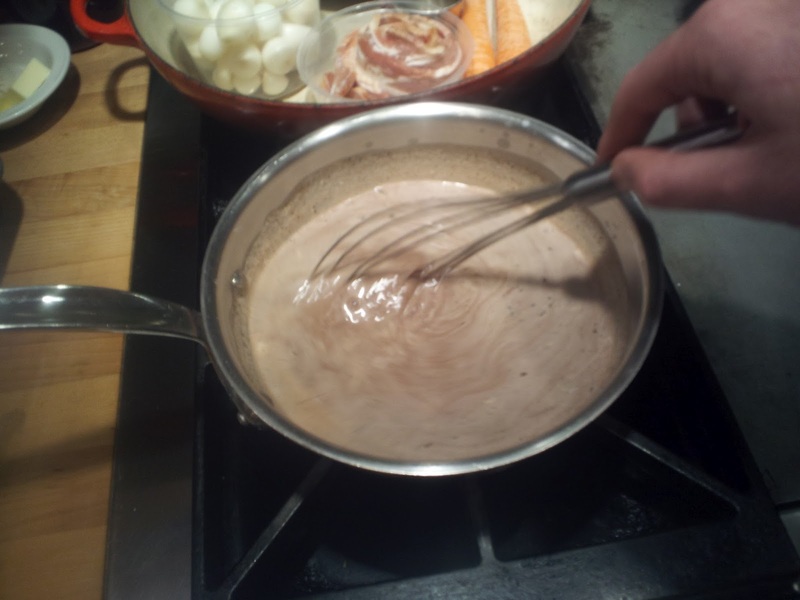 Remove from heat and whisk the chocolate in until smooth. Remove the vanilla pod. While the cream is heating, whisk together the egg yolks and sugar. Place the ramekins in a baking dish, then pour the custard into the ramekins. Fill the pan halfway up the sides with hot water. Cover with foil and bake for 25-30 minutes, until jiggly but firm. 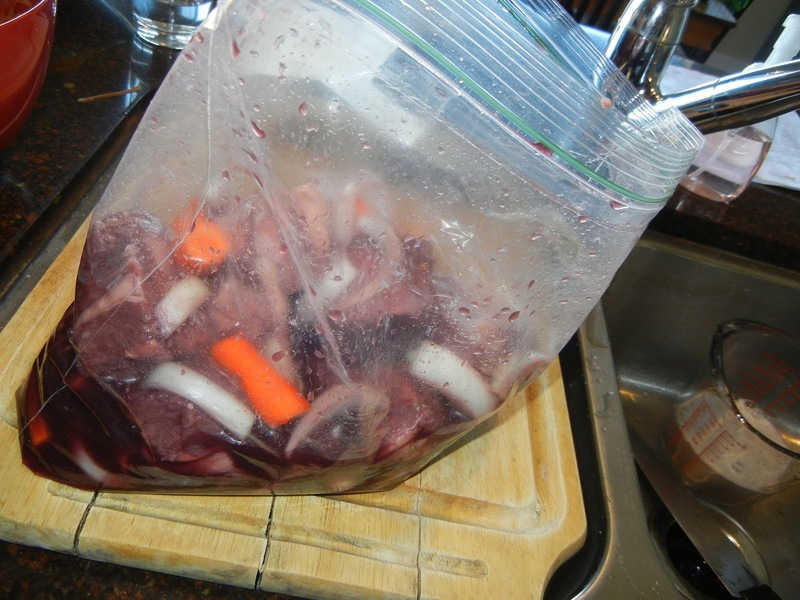 Allow to cool in the refrigerator for about 2 hours or until cold (May be refrigerated overnight). Serve chilled with whipped cream and shaved chocolate. I can’t recommend the Chopping Block enough. If you have any questions about what they do or how they teach, just let me know. If you want to take class there, but don’t have anyone to go with, shoot me an email, I’d love to meet up with some of my readers and take a class. Each year, I put put together an annual plan (goals) with the help of the Best Year Yet Program. Some of these goals are personal, some are professional; some are home related, some are travel related — they run the gamut of life. Ok, so two of these are pretty much go hand in hand, but have different outcomes, really. A colleague of mine took the back splash workshop at the Home Depot a few months ago and tiled her back splash without a problem — sounds like a good place to start for me. My aunt (well, technically, my grandpa’s aunt) made some amazing bread and butter pickles. I have several recipes for these pickles — but I’ve never made them before and really don’t know of anyone who has properly made pickles that could help me. I do want to try this and I want to make both dill and sweet pickles. I also want to try canning things like fresh vegetables (tomato sauce) and fruit (peaches). I think making spicy (pickled?) green beans for a Bloody Mary would be great too. Theoretically, I’d like to can a homemade pasta sauce I make too — but I understand there are other issues with canning meats and sauces, so obviously I’ll need to do more research on this. Finally, I want to learn how to properly decorate a cake. A good friend of mine (JLPB) does some really amazing cakes – she’s promised to make me a cake, but since I’m nearly 2000 miles away, I haven’t had a chance to get the cake. Her cakes look fantastic and while I cannot expect to match her skill level, I would like to be able to create frosting flowers or other embellishments as opposed to just throwing some sprinkles on the top. What do you want to learn how to do this year? What resources are you using? Do you think my three items are lame? Are you interested in helping me achieve these goals? What advice do you have for me on these goals? From time to time, I’ll watch Food Network. Usually, I watch Giada or Ina — sometimes Chopped (usually, while I’m blogging) but rarely anything else. Sunday morning we watched $10 Dinners. I find the host to be quite grating – but Sunday’s episode had several recipes that sounded quite lovely. 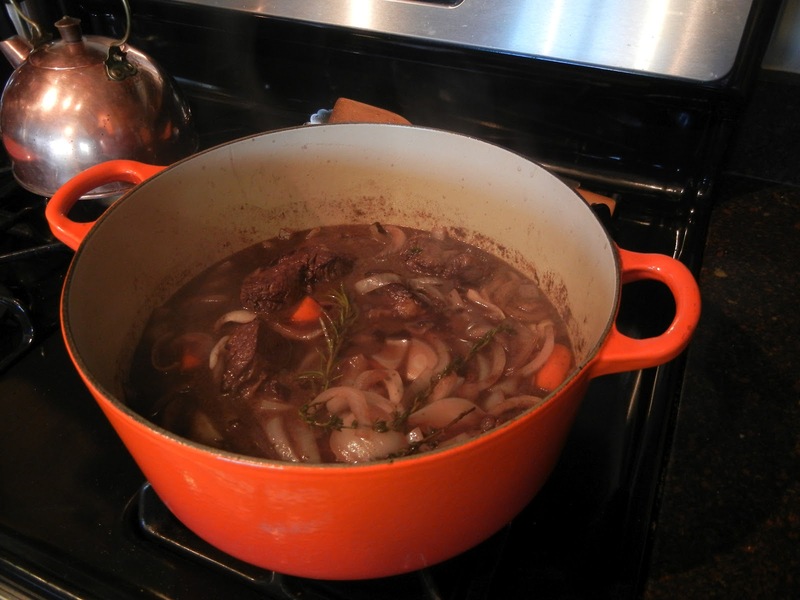 The episode was called Winter in Provance and had two recipes: Daube a la Provencale and an Orange Olive Oil Cake. We decided to make this for our Sunday dinner. I made the entree and MS made the dessert. 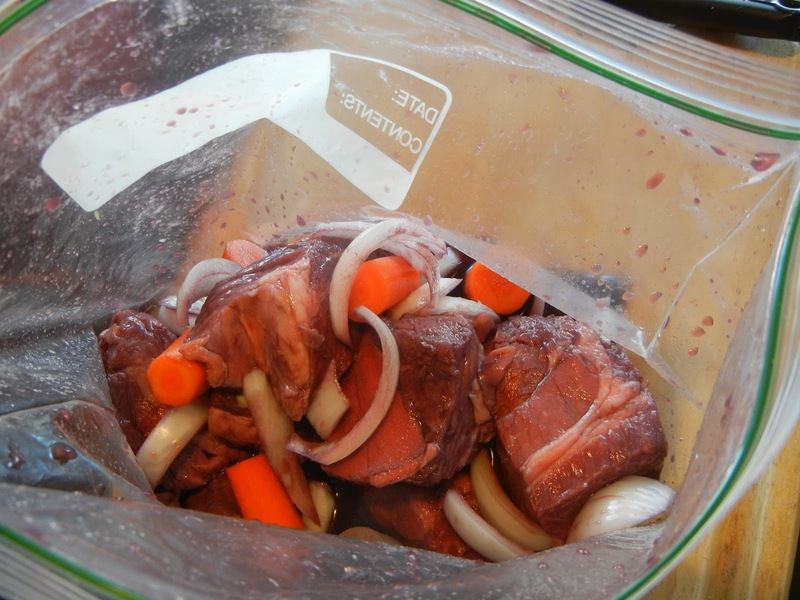 I followed this super easy recipe — except for letting it marinate for 6 hours. That’s just crap. I started cooking this thing at 13h00 and wouldn’t have had enough time to marinate it more than just 2 hours (assuming I wanted to eat dinner on Sunday night). 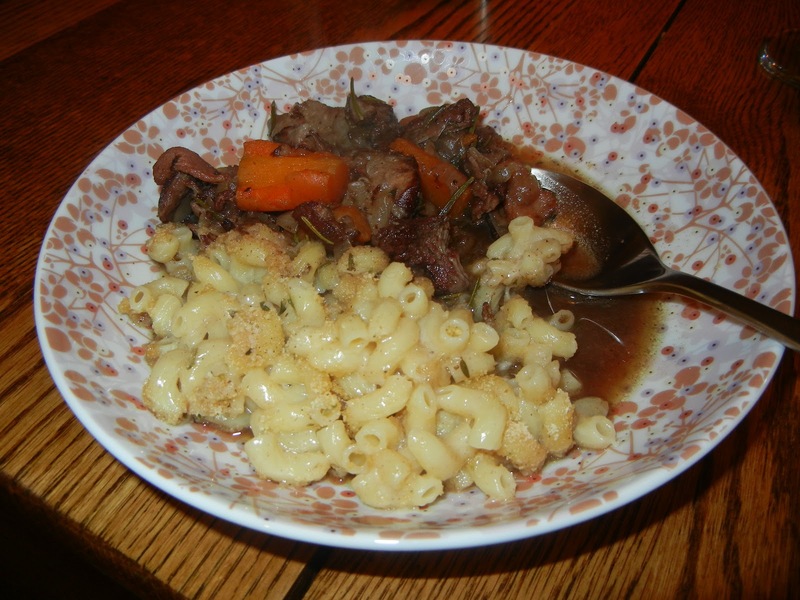 The final product was so good – and will definitely make it into my recipe box. The meat was so tender and flavorful. I also ran out of red wine vinegar, so I just added some extra red wine and tossed in 3 tablespoons of balsamic vinegar. It seemed to work well. This beef dish is not like a traditional stew — it doesn’t have a thick base, but a watery broth base. The addition of macaroni works surprisingly well. I thought about swapping out the noodles for potatoes (boiled or mashed), but I was afraid this would make it too much like a standard/traditional stew. I’m happy I followed the recipe. We did dramatically (from a flavor standpoint) change the dessert recipe. Since we were in Palm Springs just a couple weeks ago and harvested a couple dozen lemons, we decided to change the orange component to lemons. It worked marvelously. This is the first recipe I’ve made from $10 Dinners. I haven’t done any research on this show, nor have I ever watched a full episode (I didn’t even watch the full version of this episode). But I do have one question – how the hell can this woman make these meals for less than $10? I had most of the items (except the wine or the meat) and it still cost me more than $10. The meat alone was $10.68. Where is this woman chopping: Kansas? Is she slaughtering the cow herself? I don’t get it. It reminds me of Rachel Ray’s 30 Minute Meals — no way in hell those meals take 30 minutes. I stopped watching Rachel about 6 years ago because she just annoyed me so much. Do you watch $10 Meals? Can you pull these meals together for less than $10? What about that Rachel Ray — can you do her meals in 30 Minutes? Don’t you just love a great stew on a cold winter day? What is your favorite cold weather recipe – something that cooks all day and fills the house with heat and amazing smells? Share your favorite recipe with us all.